Customer relationship management (CRM) overtook database management and enterprise resource planning (ERP) to become the biggest business software category in 2017, and is set to be the fastest-growing in the years to come, hitting US$45.8 billion this year. But SAP came late to CRM, and now urgently needs to catch up with Salesforce.com, to which it is running a distant second — or third, depending on who's counting. One thing it's belatedly recognized: Companies don't just want to use CRM for sales, they want a single view of their customers that covers the entire supply chain. When SAP users Diageo and AB Inbev tried to build that kind of view by indirectly accessing data in their core ERP systems through Salesforce's cloud-based CRM, though, SAP's response wasn't to lure them away with a cloud-based solution of its own, it was to call its lawyers. It asked a British court to make Diageo pay millions of pounds in back licensing fees for this indirect access, and took Inbev to arbitration in the U.S., settling for an undisclosed sum. Suing customers is an unsustainable business model, though. SAP has experimented by offering customers new licensing models for indirect access to its core systems, and now it is wooing them with a new CRM offering: C/4HANA. "SAP is putting its stake down to go after the CRM market again," said Alex Atzberger, president of SAP Customer Experience on SAP C/4HANA. The name is a play on that of SAP's latest ERP platform, S/4HANA; the C stands for customer. It's a suite of SAP's existing cloud-based front-office applications, including consumer data protection, marketing, customer service and, yes, sales, tied together to provide that single customer view. "We believe it's time to retire legacy CRM," Atzberger said. "Customers today want data privacy, they want connected experiences, and people want to be treated like people rather than transactions and ID numbers." The constituents of C/4HANA include SAP Marketing Cloud, SAP Service Cloud, SAP Customer Data Cloud, SAP Sales Cloud and SAP Commerce Cloud — the last of which SAP is now making available on Microsoft's Azure cloud platform. "We believe this lines up very competitively against Salesforce," Atzberger said. "I don't think a lot of customers recognize that SAP is in this market, ... and that's about to change." What SAP customers want, according to Atzberger, is an integrated, end-to-end process that ensures that leads created by the marketing team are followed up by the sales team. In the post-GDPR world, that relies on an integrated data model, he said. "We have consent-driven customer data shared by all applications. That ensures there's a complete view of of the customer journey." SAP has worked hard to tie the elements of the C/4HANA offering together to provide a common customer experience, he said. That's significant, because C/4HANA's constituent parts come from a series of acquisitions, the results of SAP's past efforts to buy CRM market share. Among them were Swiss e-commerce specialist Hybris in 2013, Israeli customer identity management firm Gigya in 2017, and more recently Callidus Software, a vendor of sales performance management tools. The spending spree isn't over: To extend the reach of its CRM offering into after-sales support for physical products, SAP is returning to Switzerland for another acquisition, this time of Coresystems, a sort of Uber-for-field-service technicians. The idea is that SAP customers will be able to respond to peaks in demand for services such as installation, maintenance and repair by calling on accredited freelance technicians when their own employees are too busy. SAP is keeping schtum for now about how much it paid for Coresystems, or its plans for pricing the company's service. For that matter, it doesn't have much to say yet about how it will price C/4HANA. There will be incentives for companies to use more of the suite's constituent components, but beyond that, Atzberger wouldn't say. One other area SAP worked on in building C/4HANA is in developing a common extensibility model for linking the suite to other applications and data sources. "There's going to be a large ecosystem around it. We are fully embracing, fully leveraging the capabilities of the SAP Cloud Platform, which attracts a highly innovative ecosystem to SAP C/4HANA." he said. "Companies want to have these extensions, additional capabilities that might be very industry specific or very customer-scenario-specific." Those extensions could also profit from the new licensing models for indirect access, based on the number of documents they create rather than the number of users that can see the data. That's key if you're looking to expand the number of people within your organization that can view a customer's records, and take actions to boost their loyalty. 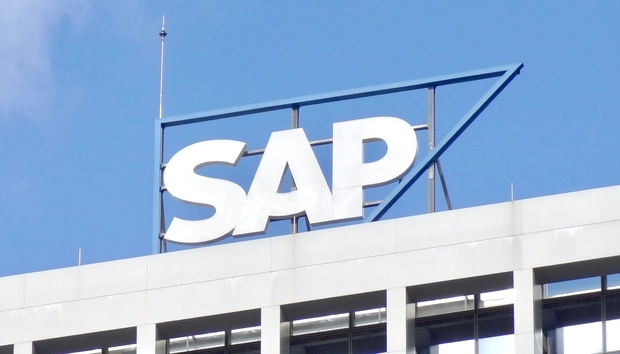 SAP, it seems, has also been giving some thought to managing relations with its customers.